As cards targeting small businesses go, Capital One® Spark® Miles for Business may not have all the bells and whistles of some. But its straightforward, simple rewards program is a perfect fit for many. The welcome offer is an enticing way to start a relationship with a new card: Earn a one-time bonus of 50,000 miles after you spend $4,500 on your new card in the first three months. A straightforward and unlimited 2X the miles rewards rate keeps the momentum rolling. And the miles don't expire for the life of the account. Capital One® Spark® Miles for Business has an annual fee of $0 intro for first year; $95 after that, giving you the opportunity to try out its perks and features without paying an annual fee for the first year. Given the easy rewards earning and redemption options, we think you'll find it fairly simple to offset the annual fee and then some. The Capital One® Spark® Miles for Business offers a ton of flexibility in its rewards program. You can either log into your account and make your travel purchases (airline tickets, car rentals, etc.) using your accumulated points or you can also be reimbursed for previously made travel purchases by using the "Purchase Eraser" feature. Just log into your account, choose the "Purchase Eraser" feature and you can use your points against the amount you spent on your qualifying purchase and be reimbursed the cash value. The best part is you can erase all or even just part of a purchase – it's up to you. Additional features include free employee cards, quarterly and year-end summaries, downloadable purchase records, a mobile app to manage purchases, no foreign transaction fees and car rental insurance, purchase protection, roadside dispatch and lost luggage reimbursement. The rewards program boasts one of the highest earn rates available at two miles per $1 spent on all your purchases. Enjoy the flexibility to redeem miles directly for travel or use the "Purchase Eraser" to redeem miles for statement credit to cover a previously made travel purchase. There's a ton of flexibility when it comes to redeeming points in that your points don't expire for the life of the account and there are no blackout dates, airline restrictions or seat restrictions to worry about. Those who spend less than $1,000 monthly may be better off with a card without an annual fee. Simplicity and keeping down costs are both beautiful things for small businesses. Capital One® Spark® Miles for Business offers small businesses that do significant traveling a chance to keep costs under control. And the best part, the person in charge monitoring expenses doesn't need an accounting degree or PhD in economics to figure out the way to take advantage of the flexible miles redemption program. A 50,000-bonus mile welcome incentive is generous (earn it by spending $4,500 on your new card in the first three months), and an unlimited two miles for every $1 spent on all purchases keeps the rewards piling up. The flexibility of Capital One® Spark® Miles for Business doesn't lock you into a partnered hotel chain or airline. This allows a small business to shop for the best deals on travel and still reap terrific rewards. 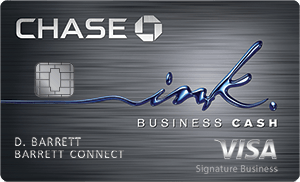 The Capital One® Spark® Miles for Business card is definitely for a niche market. The annual fee (waived for the first year) can eat into the benefits if you don't do regular traveling. Furthermore, the non-travel rewards program isn't quite as attractive. On-time payments aren't just encouraged, they are essential. Late payment fees will cut into any rewards you earn and why have a rewards card only to offset the rewards with fees? Capital One® Spark® Miles for Business has non-travel redemption options but they tend to undervalue accumulated miles by as much as 50 percent. 2 Miles per $1 on every purchase, everywhere. The primary difference in these two Capital One cards is right there in their names. While Capital One® Spark® Miles for Business offers an attractive rewards program with the chance to use accumulated miles to pay for travel-related expenses, the Capital One® Spark® Cash for Business offers good old-fashioned cash as its reward. For example, as an introductory offer, Capital One® Spark® Miles for Business offers 50,000 bonus miles after you spend $4,500 on the card in the first three months. Capital One® Spark® Cash for Business offers that deal, but in cash terms: Earn a one-time $500 cash bonus when you spend $4,500 on your new card in the first three months of opening your account. Both have a very simple rewards program, Capital One® Spark® Cash for Business offers 2 percent cash back on all purchases. Capital One® Spark® Miles for Business offers two times miles (essentially 2 percent) for every $1 spent. It comes down to a simple question for small business owners – do you prefer to accumulate travel miles or get cash back? While Capital One® Spark® Miles for Business offers a strong rewards program for businesses with a small to moderate budget, American Express® Business Gold Card offers more for businesses with higher spending habits. The rewards program for American Express® Business Gold Card, while more lucrative in some areas, could also be considered more complicated. The cardholder gets more rewards, namely, 4x Membership Rewards® points on the two select categories where your business spent the most each month. (4X points apply to the first $150,000 in combined purchases from these 2 categories each calendar year.) In addition, they get 25% points back after you use points for all or part of an eligible flight booked with Amex Travel, up to 250,000 points back per calendar year. Cardholders also get up to 1 year free on a subscription to both G Suite Basic for up to 3 users and ZipRecruiter Standard, a combined value up to $3,200. There is also a flexible payment option that can help manage cash flow on purchases of $100 or more. Access expense management tools: Connect to Quickbooks, access SpendManager℠, receive a Year-End Summary, and more. You can also add employee cards with a no annual fee option and earn rewards on employee purchases while tracking employee expenses with spending limits, alerts and summary reports. There's also a nice welcome offer of 35,000 Membership Rewards® points after you spend $5,000 in the first three months; however, there's a $295 annual fee to consider. Terms apply; See Rates and Fees. These cards are, obviously, siblings. The biggest differences lie in the annual fees and the amount of rewards earned for each purchase. If your business isn't quite ready to commit to a card with an annual fee, the Capital One® Spark® Miles Select for Business card just might be the right choice. You don't pay an annual fee with this card, but you still enjoy many of the same perks and protections offered by the big brother card, Capital One® Spark® Miles for Business. The key is that you'll also earn less with each purchase you make on the "select" version of the card: 1.5 miles per $1 spent as compared to two miles per $1 with the Capital One® Spark® Miles for Business. The welcome offer is also significantly less with the Capital One® Spark® Miles Select for Business card at 20,000 miles after you spend $3,000 in the first three months of card membership. If you are a small business owner, whose employees do a fair amount of traveling for business, the Capital One® Spark® Miles for Business card can be a very effective tool in your fiscal arsenal. If you don't have the time or the manpower to wade through a complicated rewards program to figure out the maximum value, the simplicity of Capital One® Spark® Miles for Business will make you smile. This is also an excellent business miles card for the business owner who doesn't like to be locked into a relationship with one hotel chair or airline but would rather shop for the best deals available. 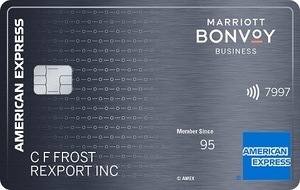 To see the rates and fees for the American Express® Business Gold Card please visit the following link: See Rates and Fees.